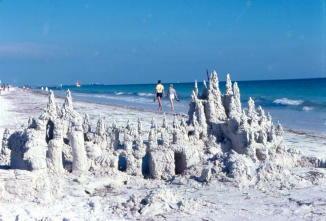 The Beaches of Sarasota stretch over 35 miles along the west coast of Florida on the beautiful Gulf of Mexico. The Beaches here have received such prestigious awards as the "Finest and Whitest Sand in the World" and the "Best of the Best Sand." Because Sarasota is on Florida's West Coast, we have the most awesome, colorful sunsets over the water. It is not uncommon in the waters of Sarasota to witness Bottlenose Dolphins, Manatees, Pelicans and a variety of interesting fish species. The world famous Mote Marine Laboratory is headquartered here and is one of the foremost authorities in Marine Biology and Ecology. The clean, turquoise water in the Gulf is very warm and comfortable to swim in and the rolling waves are gentle, so there is much to be enjoyed about the Beaches here. The combination of climate, salt water and quartz sand is why Sarasota is considered to be one of the healthiest places in the world to live. There are many beautiful Beachfront Homes available in Sarasota ranging from multi-level Condominiums and Villas to stylish Houses and sprawling Estates. Longboat Key - Known as a private island paradise, the eleven-mile island is located between the Gulf of Mexico and Sarasota Bay and is home to 8,000 permanent residents. The luxurious lifestyle on this plush island is unsurpassed. Lido Key - This European-style island is bordered by four bodies of water, the Gulf of Mexico, Big Pass, Sarasota Bay, and Brushy Bayou. North Lido Beach is a pristine half-mile stretch of sand and very private. South Lido beach is 100 acres of Australian pines, picnic tables, grills, a volleyball court, playground , wooden walkways, trails and canoeing opportunities. Bird Key - A small island that is an exclusive gated community located between the mainland and Lido Key. Many notable celebrities reside in this unique waterfront community of luxurious homes. 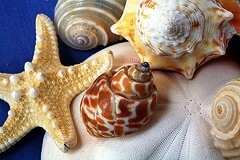 Siesta Key - Siesta Beach is known as one of the most beautiful beaches anywhere in the world. At the "Great International White Sand Beach Challenge" held in 1987, it was recognized as having the "whitest and finest sand in the world." The Travel Channel has named Siesta as one the world's Best Beaches for two years in a row! Most beaches are made mostly of coral, but Siesta Beach's sand is 99% quartz pulverized to a fine powder and stays cool to the touch, even under the hot Florida sun. It has also been named as one of “America’s Best Beaches”; “Third Best Walking Beach in the USA,” by USA Today International Edition; and “The Best of the Best Sand,” by Conde Nast Traveler Magazine. Casey Key - Located just south of Siesta Key, Casey Key is a tropical island that is uncrowded, quiet and offers tranquility and unspoiled beauty. Convenience and privacy, you can't beat that. Venice Beach - Fourteen miles of white sand beaches located south of Sarasota, Venice Beach is known as the shark's tooth capital of the world. 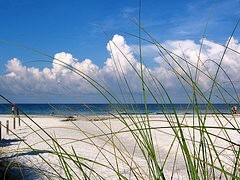 Bradenton Beach - North of Sarasota , the 27 miles of white sandy beaches include Ana Maria, Holmes Beach, and Bradenton Beach. Anna Maria Island - Seven-mile long Anna Maria Island lies just south of Tampa Bay bordered by Sarasota Bay, Ana Maria Bay, and the Gulf of Mexico. 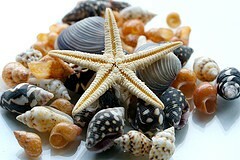 Anna Maria is a quaint little island with "Old Florida" atmosphere.